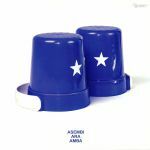 Review: It was over two years ago when Henrik Schwarz first revealed his remix of "Asembi Ara Amba", a 2015 cut by Ghanaian artist Yusuf Bayani and German funk stalwarts Poets of Rhythm under the alternative Polyversal Souls alias. Here the now legendary rework finally gets an official release. On the A-Side you'll find Schwarz's now-familiar "Version", where Bayani's superb vocals and sampled Afro-funk horns rise above classic-sounding (think Inner City circa 1989) electronic riffs, rolling house beats and a chunky, dub-wise bassline. You'll find an inspired, previously unheard bonus on the flip in the shape of Schwarz's 'Beatless' mix, which re-imagines the track as a spacey, other-worldly chunk of mesmerizing Afro-ambient.